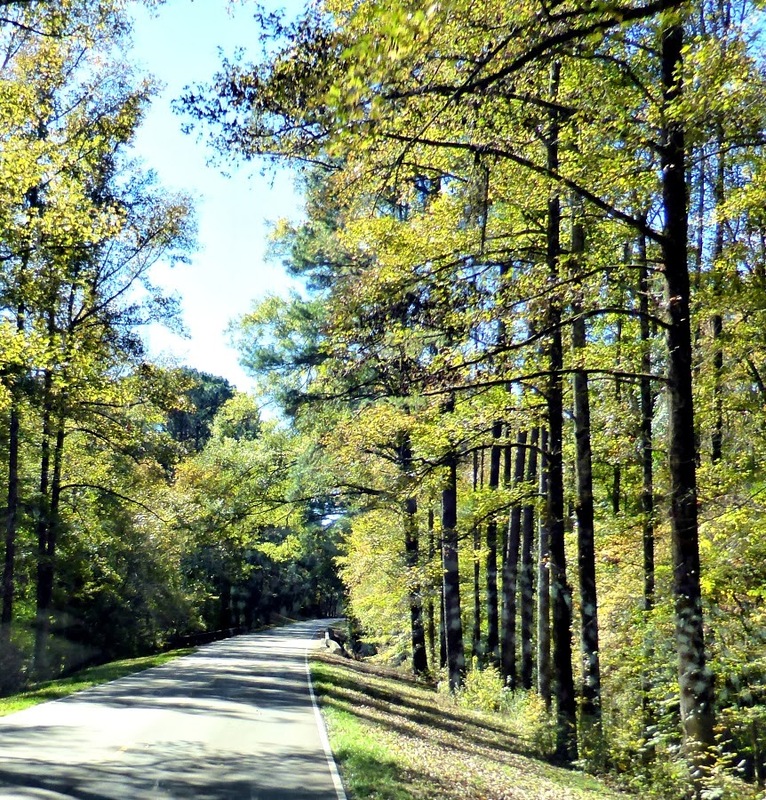 The Natchez Trace Parkway leads you 444 miles through 3 states and 10,000 years of history. Established as part of the US National Parks system in 1938 the Parkway commemorates the most significant highway in the old west. It follows a natural corridor that dates back centuries. 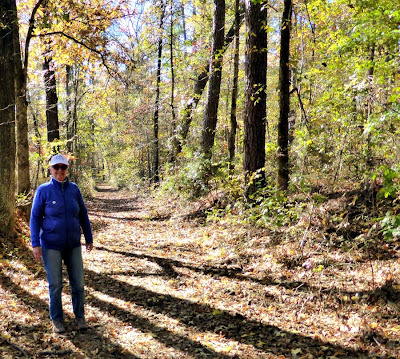 As the US expanded westward in the late 1700s and early 1800s, growing number of travelers tramped the rough trail into a clearly marked path. 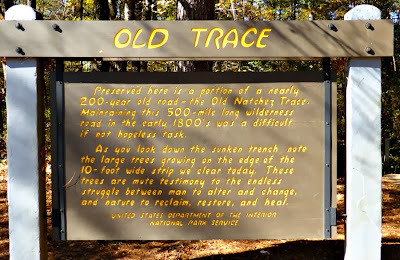 In 1801 President Thomas Jefferson designated the Trace a national post road for mail delivery between Nashville, TN and Natchez, MS.
We drove the Trace from end to end with the exception on a 90 mile section we missed when we went into Florence, Alabama to get the Adventure Bus repaired and ended up driving to Red Bay, AL and around Tupulo MS on back roads before re-entering the Parkway. There are no commercial vehicles allowed on the Trace and the speed limit varies between 45 and 50 mph. We found it a very peaceful and pleasant three day drive after spending 10 days in Interstate highways. To us, one of the most interesting spots on the Trace was this area, about 5 miles wide, where a tornado went through in 2011. You can stop frequently to check out historic markers and sites, Indian Mounds, hiking trails, etc but we pretty much drove straight through, with stays in Florence,AB and Jackson, MS. I think really, to do the Trace justice, you need to spend a two week holiday there exploring and learning about this historic and interesting part of the US. This is a trip I really want to take. Something about it has captured my attention. Sounds like a nice relaxing drive as you said. 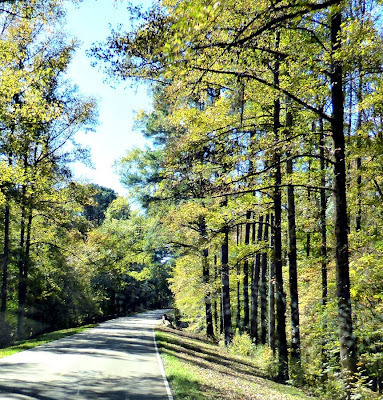 It is a really relaxing drive - much more so than the Blue Ridge Parkway. I recommend you allow at least a week to drive it if you want to stop and look a lot. 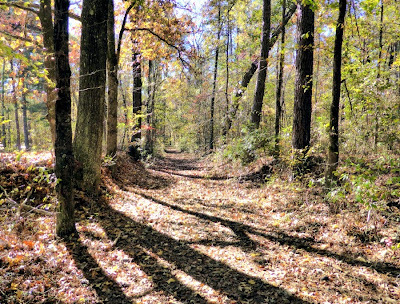 The campgrounds we stayed at in the city of Florence, Al (a city park) and at Ross Barnett Resevoir outside Jackson MS where first rate and very good value. There are 3 free campgrounds right on the Trace as well. We also did the Trace and loved it. Stayed at a few campgrounds on the way. In all it took us 3 days travelling, too. I must say your account is much better than mine! Lovely photos. The campground you stayed in at Rocky Springs looked very pleasant. We will try it if we get another opportunity to drive the Trace.